I’ve been working on this one for a while and now it’s finally finished! 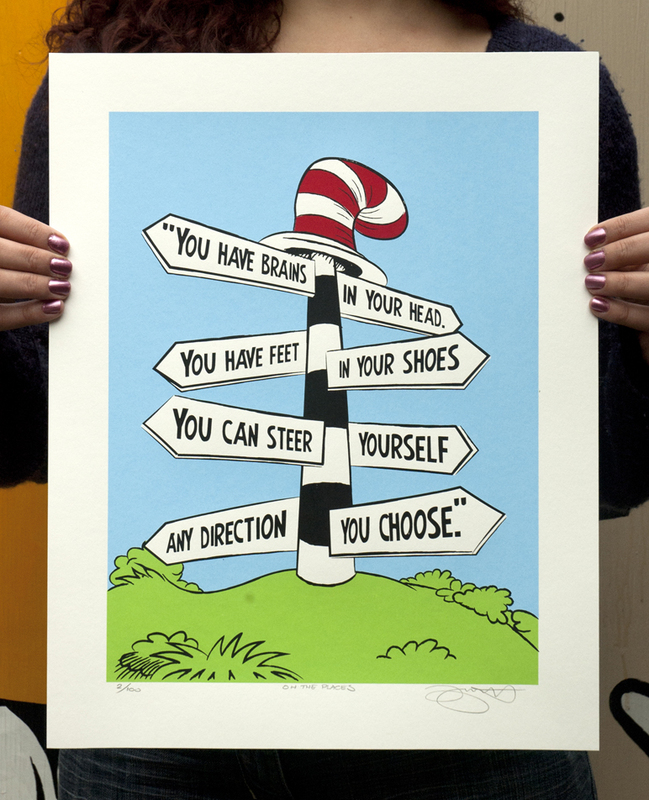 Another print based on a quote by the genius that is Dr.Seuss, enjoy! This four colour hand pulled screen print measures 34cm x 42cm (approx) and is printed on high quality acid free 315gsm Heritage art stock. Each print is signed & numbered and is strictly limited to an edition of 100 so as always once they’re gone they’re gone! Posted in Prints. Tagged with Blue, Cat in the Hat, Dr Seuss, Green Eggs and Ham, Green..
Dr. Seuss Cat in the Hat! 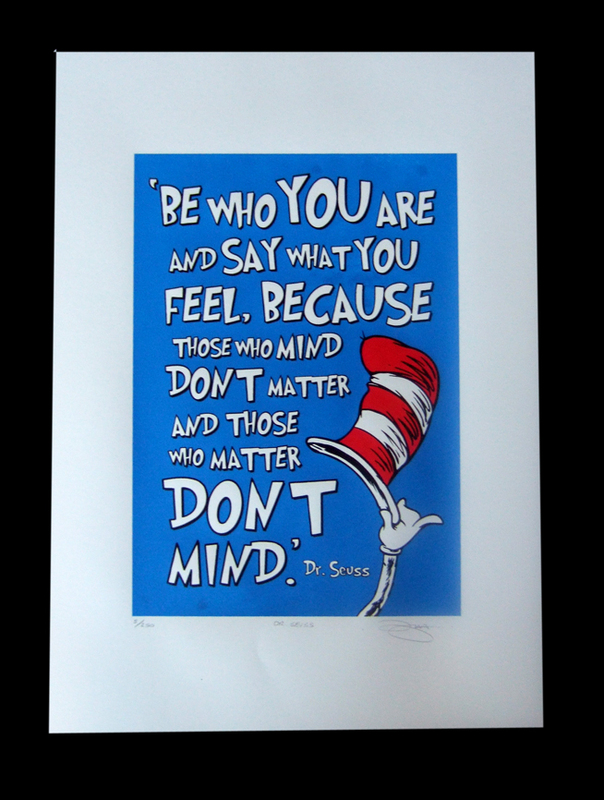 I think one of the first books I was exposed to as a child were the Cat in Hat and Green eggs and Ham by Dr. Seuss. I remember being fascinated by the the bright colours and weird characters. I recently found this quote by the great doctor and just thought it was perfect, as well as being true! This three colour hand pulled screen print measures 42cm x 59cm (approx) and is printed on high quality acid free 250gsm Southbank art stock. Each print is signed & numbered and is strictly limited to an edition of 250 so as always once they’re gone they’re gone! Each print will be packaged and shipped in sturdy cardboard tube. Posted in Prints. Tagged with Blue, Cat in the Hat, Children, Dr Seuss.